We try and keep in touch with former students and there are groups of old boys that regularly meet. Please contact us at the School if you require any further information. If you would like for your details to be added to our alumni database please complete the form at the bottom of this page. Heston Blumenthal - Chef and owner of The Fat Duck, a three-Michelin-starred restaurant voted the best restaurant in the UK in 2007 and 2009 and the best restaurant in the world in 2005. A constant innovator, Heston Blumenthal has revolutionised the industry. Sir Terry Pratchett - A prolific author of fantasy books and plays, Sir Terry Pratchett was the UK's best selling author in the 1990's. He has sold over 65 million books in 37 languages, and won the Carnegie Medal in 2001 and was knighted in 2009. Some of his former teachers at the School feature as characters in the Discworld books! Robin Day - A furniture designer, Day invented the Polypropylene stacking chair. This has gone on to be the best selling chair in the world, having sold over 20 million units. The chair is so iconic that it was chosen as one of 8 designs to feature on a series of stamps named ''British Design Classics''. Simon Burnett - A world class athlete, Simon Burnett started his career at Wycombe District Swimming Club. He started his international career with gold in the 50m backstroke at the ASA National Championships in 2001 and 2002. Switching to freestyle, Burnett won bronze at the 2002 Commonwealth games and competed at the 2004 Olympics. He went on to win 2 Gold's and 1 Bronze medal at the 2006 Commonwealth Games. Nick Catlin - A member of the GB hockey squad, Catlin has already represented his country at the Olympics, World Cup, Commonwealth Games and Champions Trophy (winning a silver medal). He made his debut in 2009 and is now a regular member of both the GB and England sides. 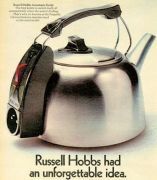 William Russell - Founder of Russell Hobbs and designer of the first automatic electric kettle. This become one of the most iconic domestic appliances of the post-war era. Mark Phillips QC - An internationally renowned barrister, Mark specialises in all aspects of international insolvency and reconstruction, banking and finance and the disputes arising. He also has an extensive sports law practice. Mark has appeared for the Lehman administrators, the shareholders of Northern Rock, the liquidators of Rangers Football Club. He defended the Bank of England at trial against the liquidators of BCCI. He often also acts for Arsenal Football Club and Lewis Hamilton. Matt Ingram - Matt currently plays for Queens Park Rangers. Until January 2016 he was the first team goalkeeper at Wycombe Wanderers. In 2014 he was awarded the Football League's Young Player of the Month for September. Kevin Keen - Now at West Bromwich Albion, Keen played his first games for Wycombe Wanderers at just 15, setting a club record. He left to play for West Ham and through his career played for Wolves, Stoke and Macclesfield. Before joining WBA Keen was caretaker manager at West Ham and Head coach at Liverpool. Peter Aldis - CEO at Holland and Barrett. Giles Cooper - Giles is a British entertainment producer, concert promoter and marketer. He is managing director of Soho Media Group, a production and marketing company and CEO of concert promoters, Giles Cooper Entertainment t/a GCE Live. He is chairman of the Royal Variety Charity, and since 2010 has been one of the producers of its annual fund-raising event, the Royal Variety Performance. Cooper was made a fellow of the Royal Society of Arts in 2006, and received the Freedom of the City of London in 2014.